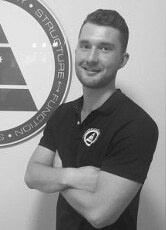 After graduating from Macquarie University after 5 years of study, completing both Bachelor and Master of Chiropractic, Guy continues his journey at Sports Medicine Clinic as a highly competent practitioner. Guy entered into the field of Chiropractic after experiencing the frustration of injuries, to gain a greater understanding of sports injuries, biomechanics and human performance. He spent time working as a Chiropractic assistant for three years, at both Parramatta and Peakhurst Sports Medicine Clinic’s. This has allowed him to integrate the knowledge and techniques from multiple disciplines, seeing a broad range of patients, allowing him to develop his own individual style. Guy has an extensive history of participating in sporting activities, with a keen interest in cricket and golf. His background has given him a greater understanding in sports and work-related injuries, and the stresses involved. Guy has a passion in not only helping people get past their pain, but also optimising their health and performance. His goal is to assist others to be able to live and move freely, without any pain or fear. Guy has also been involved in teaching 1st and 2nd Chiropractic skills tutorials at Macquarie University, where he enjoys sharing his knowledge in practical skills and helping the students develop their skills. Originally growing up on the NSW Central Coast, Guy enjoys spending his summer at the beach and his winters at the slopes. Guy also enjoys undertaking strength training and playing golf on the weekends.